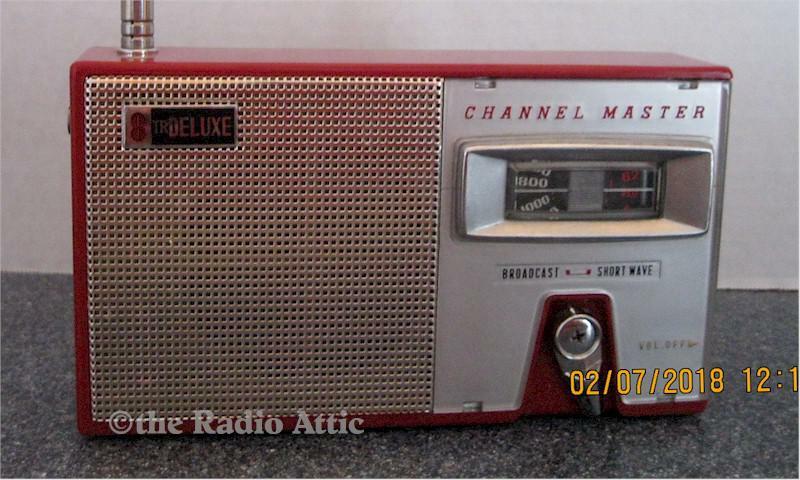 Vintage 1959 Channel Master eight-transistor AM/SW radio. Restored with all brand new electrolytic capacitors, battery clip, and battery holder for four "AA" batteries (not included). Clean inside and out. No dents,chips,or cracks. The audio is clear, and goes to full volume. Receives lots of long distance AM broadcast radio stations. Received on short wave WWV, hams, CHU, and many more SW stations. Radio comes with screw-in telescoping antenna. Leather case. The strap is broken. Add $8 for domestic shipping. You are visitor number 1,025 to this page.